Life is a divinely ordered series of lessons and opportunities for growth, always leading to one’s highest good. This is the most profound truth that Enrique Fulchi’s diverse, enriching life experience has taught him. Growing up in the tropical, seaside climate of Lima, Peru, Enrique found himself drawn to art and athletics. At age 20, he moved to New York City, armed with a positive attitude and an outgoing personality. Drawn to people, travel, and new experiences, he immersed himself in big city living. Enrique found himself drawn to not one, but many professions. At first, his childhood passion of art led him to study it. After a time, he realized that although his love of creativity would always be a part of him, it was not destined to be his profession. Led by the spirit of adventure, he became a bike messenger, cab driver, construction worker, bartender, and model. He even appeared on the television show To Tell The Truth. Never one to shrink from a challenge, he also took classes to become a mechanic and a personal trainer. Athletics was a life-saving tool for him. Led by the desire to purify himself, he started running. He left years of smoking behind him as he became stronger, eventually running marathons and competing in triathlons. 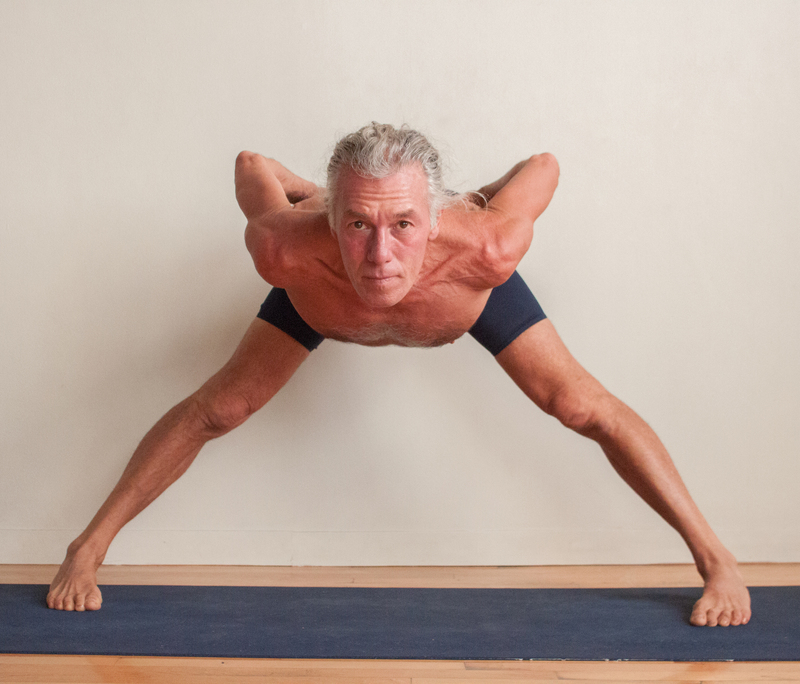 The purity he found by focusing on his health became the inspiration that led him to yoga. In his late 40s, at the invitation of a friend, Enrique attended his first yoga class. He started small, taking classes now and then. When he found that he could take classes for free by working at the yoga studio, yoga became a regular part of his life. As his practice deepened, so did his appreciation for yoga, until finally, at the urging of a friend, he undertook intensive teacher training. This training opened new doors for Enrique. His practice became deeper than ever before, and he was introduced to the philosophy behind yoga. When a friend told him about a position teaching yoga in Rochester, NY, Enrique made the move and found not only a new city but a new career. The strength he found in yoga was richer than anything he had experienced. His students felt the same way, and the large classes he drew motivated him to open his own studio in 2005. Teaching yoga inspired him to fully embrace the yogic way of life. He was awakened. He saw the entire cosmos as one entity and embraced the now as the only way to live. He saw that every part of his life, from his outgoing nature to his many jobs were divinely ordered. Today, Enrique embraces Indian practices such as Pranayama, meditation, and Ayurveda. Each day, he becomes a guide and companion to his students, leading them to make life-changing discoveries about the power of yoga.